Bow trolling motor plug (trolling motor for display only). Motor prices on request. 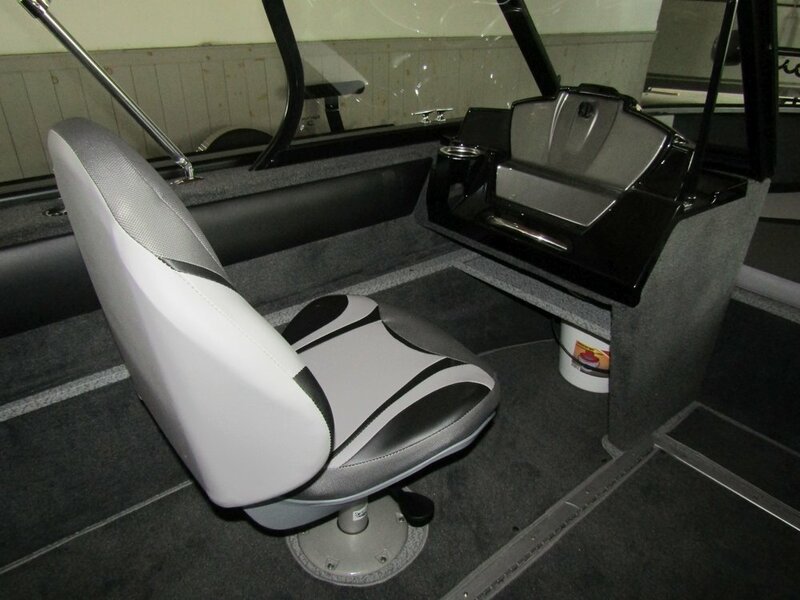 Split convertible rear bench seat with non-skid decking surface. Two side storage compartments with one for rods. Extreme tilt steering with premium steering wheel. 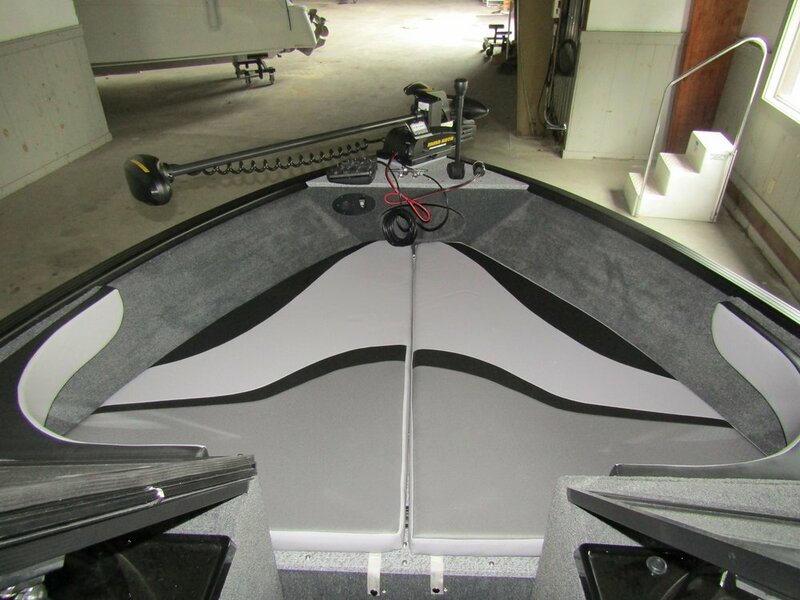 Bow-mounted trolling motor bracket. Motor prices on request.